This pot of Padang-Style Beef Rendang which I cooked recently is now one of my favourite home cooked food. The recipe is from Chef Wan, a famous TV chef in Malaysia. This is also the first time I am cooking Chef Wan's recipe. 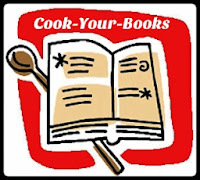 There is another recipe, Portuguese Baked Fish which I have also bookmarked. I have cooked this dish twice because it is not that difficult to cook and is good. How good is this dish? Well, It is so good that I feel so proud and happy I can cook such delicious food! Without further ado, let me share the recipe here. Combine ingredients for spice paste in a food processor and blend until smooth. Heat oil in a wok and saute the spice paste together with coriander, fennel, cumin and ground black pepper. (Add in the mixed spices). Put in the lemongrass and kaffir lime leaves and cook over low heat until fragrant. Add the beef and coconut milk, water and cook for 30 minutes? (2 hours) until beef is tender. When the gravy thickens, add tamarind juice,sugar and salt to taste and grated coconut(kerisik). Garnish with finely sliced tumeric leaves(kaffir leaf). Serve hot with rice. This fragrant beef rendang tastes even better the next day. 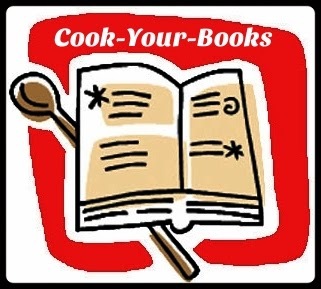 Linking this post to Cook-Your-Books organised by Joyce of Kitchen flavours. We are all prepared and ready for camp this Wednesday 20th November! I can almost smell the fragrance of this dish! Looks delicious with all the rempah! Made this yesterday for Eid. It was so so so good �� Thanks for sharing the recipe!